46% of Mainers leave paid vacation time on the table and miss out on precious time with family. That&apos;s a total of 2,519,697 unused vacation days. Tips to start planning your Maine vacation. Project: Time Off (P:TO) is an initiative created by the U.S. Travel Association to win back America’s unused vacation days. Since the mid 1970’s, Americans are taking on average about one week less vacation per year, and the trend continues to decline. Vacation usage remained constant from 1976 to 2000, on average taking a little over 20 days. In the last 15 years, the average has decreased to around 17.2 days. Last year over 705 million vacation days went unused in America, resulting in $255 billion in lost spending. This means 52% of Americans are leaving time on the table. 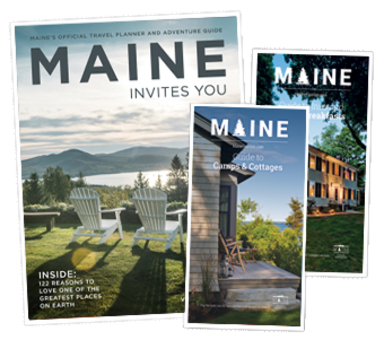 As a proud coalition partner of P:TO and the U.S. Travel Association, Maine Tourism Association&apos;s (MTA) goal is to take a proactive approach to reverse this trend and create a positive vacation environment within Maine businesses, boosting Maine’s economy. MTA and P:TO will help create awareness of the benefits of taking vacation days. As the largest tourism organization in Maine, MTA has an obligation to make the tourism industry in Maine sustainable, and it begins with people taking time off from work. To learn more about P:TO please go to projectimeoff.com. Maine Tourism Association-Project:Time Off, Office Gals from Maine Tourism Association on Vimeo. Maine Tourism Association-Project:Time Off, Tension from Maine Tourism Association on Vimeo.